Primary Health Network contracts with their service providers tend to be complex with a range of deliverables both quantitative and qualitative that need to be monitored to ensure that providers are on track to meeting the needs of the population. Folio, the contract management software that is used by many Primary Health Networks has recently introduced a performance management feature that will enable effective monitoring of both quantitative and qualitative deliverables. Folio ensures high quality service provider reports. Providers submit reports in one format through Folio. Fields such as numeric fields are enforced, and providers can be required to provide comments when performance thresholds are not met. PHN Boards and Management teams will now have Provider Performance data at their fingertips. Dashboards present performance by program and can be drilled down to performance by provider. 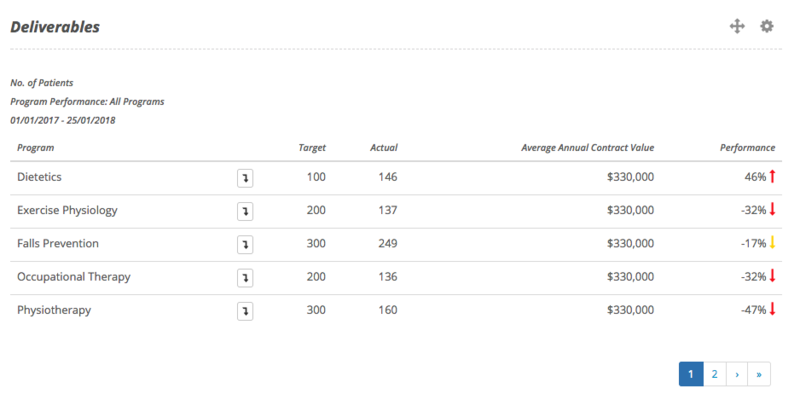 A flexible Deliverables tab on the contract screen enables program managers to look at program performance in different ways.